Question: I wondered if you had a quote that I can forward onto a friend who is very distressed having heard that two close relatives have been diagnosed with cancer? Consider what emotions you are trying to convey - sympathy? get well soon? your friendship and support? strength in hard times? spiritual comfort? There are lots more quotes at Daily Inspirational Quotes. 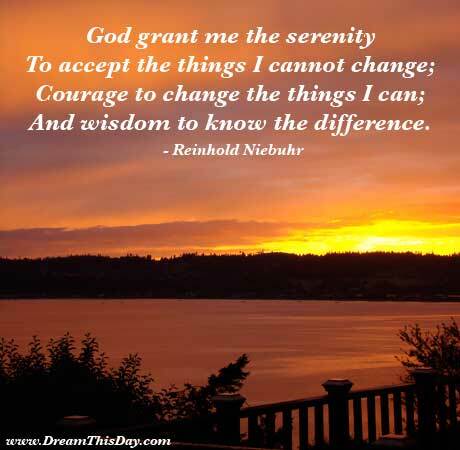 My own personal choice would be The Serenity Prayer. Nice healthy review you have shared to make awareness on cancer. Thanks for great healthy news.